Following increasing interest of European antitrust authorities in the financial services sector, and especially in credit consortia, the European Commission (“EC”) has now published a study into loan syndication and its impact on competition in credit markets (“The Study”). The Study is the first comprehensive assessment of this segment of the capital markets and aims to identify whether lenders may violate antitrust rules when working together in loan syndication scenarios. 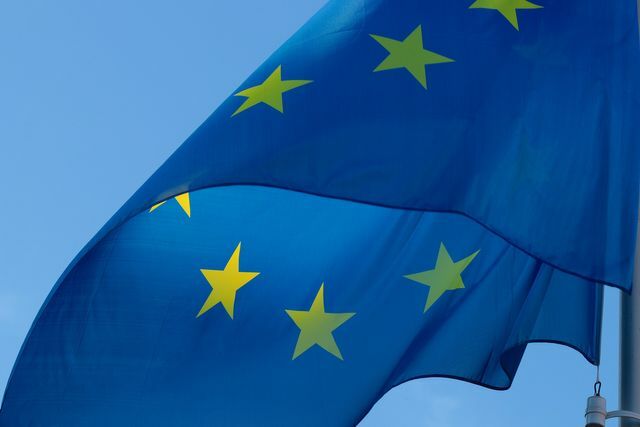 The Study was carried out by Europe Economics, together with Euclid Law, for the EC and focuses on six Member States (France, Germany, the Netherlands, Poland, Spain and the UK). The analysis examines three specific segments of the syndicated loan market: Leveraged Buy-Outs (“LBOs”), Project Finance (“PF”), and Infrastructure (“INFRA”). While the EC explicitly notes that it has not taken a position on what is falling within/outside the scope of antitrust rules as regards syndicated lending, the 324-page Study is a deep dive into the main characteristics and market dynamics in syndicated lending and potential competition risks - for instance, aspects of information sharing between lenders; the provision of ancillary services by syndicate banks; the combination of advisory and debt arranging services; and refinancing activities. What are the specific potential risk areas identified by the Study? According to the Study, there are specific market dynamics that could give rise to competition risk. The Study has found that horizontal information sharing can lead to the disclosure of deal specific strategic information. Moreover, cooperation, vertical market power and misaligned incentives may give rise to sub-optimal loan terms or sub-optimal market outcomes, respectively. The Study also highlights that market participants should not underestimate the fact that lenders have bargaining power when borrowers are in financial difficulties. The Study finds that in competitive bidding processes for appointing individual banks to a lead banking group, there is a risk of inappropriate information sharing between actual or potential competitors. The Study finds that market soundings or inter-bank information exchanges concerning pricing information may influence an individual bank’s response to a borrower’s RFP and therefore impact the competitive outcome of the bidding process. Regarding the pre-bid stage, the Study highlights the PF/INFRA segments as areas of increased potential concern (due to comparatively low availability of information to assist a bank in forming its view on a project), whereas in the LBO market this risk is considered to be relatively low. The Study also concludes that there is a general risk that lenders can observe each other’s behaviour and strategies at the post-mandate stage (e.g. coordination of future loans, refinancing in conditions of default), but considers this a relatively low risk area, which should be assessed on a case by case basis. The Study highlights the risk that Mandated Lead Arrangers award connected services (e.g. hedging) or future services (e.g. M&A advisory services) conditional upon the provision of the loan. According to the findings, potential competitive risks in this context include discussions among banks aimed at sharing these services between them, coordination on pricing and uncompetitive bundling of services with the initial loan terms. The Study finds that this may lead to restrictions of borrowers’ choice and the Study considers this as an area of, at least, moderate concern and suggests future monitoring of this conduct. The Study considers additional potential risk areas: namely the use of debt advisors who are also part of the syndicate (which is more common in the PF/INFRA segment) and the potential issue of coordination between lenders on the sale of loans on the secondary market, i.e. post closure loan trading. While the former may lead to the sub-optimal outcome that a borrower lacks a fully independent advisor, the Study considers that there is limited evidence that lenders bundle these roles in practice. As to the latter, the Study finds that there is no evidence of price manipulation on the secondary loan market. What are possible safeguards to ensure competitive outcomes in loan syndication processes? Importantly, the Study also notes a number of safeguards that can limit the competitive risks in practice. With regard to market sounding and the exchange of (pricing) information, the key safeguard is to establish enforceable protocols regarding deal-specific information, especially on how this kind of information may be transferred, in order to avoid anti-competitive alignment of prices. The regular use (and enforcement) of NDAs is also referred to several times throughout the Study. As to the risk of the syndicate tying ancillary services to the main loan, the Study finds that it is advisable for syndicates to carefully manage and limit the cross-sale of services in order to avoid the risk of impairing competitive conditions in neighbouring markets. The Study recommends keeping ancillary services separate if they are not directly linked to the loan itself. Generally, a critical safeguard is the adoption of compliance measures, especially competition law training for relevant staff highlighting the risks of co-operation and the establishment of policies regarding critical communications. The Study identifies a number of key antitrust risk areas. At the same time, the overall remarks on existing risks of collusion or actual violations of antitrust rules are moderate. For example, none of the key risk areas identified are actually described as high risk, but the Study rather concludes that the actual risk is moderate or low. However, the Study notes that the identified market features (i.e. market sounding and ancillary services) can facilitate collusion if not properly monitored and safeguarded by compliance measures. This holds true, in particular, for smaller markets with fewer potential Mandated Lead Arrangers (e.g. Poland). Against this background, lenders should have in place appropriate antitrust compliance safeguards (such as regular training for staff, template protocols for syndication processes and NDAs). In terms of next steps from the EC, it can be expected that the EC will continue to monitor the sector and – should there be clear evidence that any of the risks identified is occurring in a significant way in practice – initiate a formal sector inquiry or individual investigations.